Pantzaria salata is served all over Greece and is most often paired with a plate of skordalia (Greek garlic smashed potatoes). Truthfully they are amazing together but I also love beet salad all on it’s own with a big piece of crusty bread. 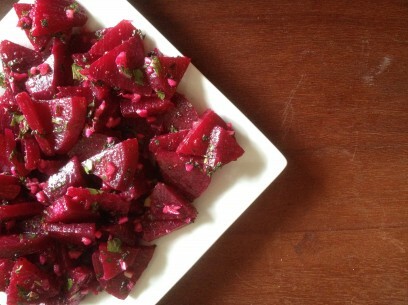 So flavorful and satisfying, the authentic tastes of this beet salad easily hold their own. In this recipe, it’s preferable to boil and not roast your beets. Many of you know I make no secret that roasted beets are my go-to beet cooking method. In this recipe though, roasted beets just don’t seem to hold up as well as boiled ones. It must have something to do with the red wine vinegar breaking down the softer roasted beets. The boiled beets hold up much better and soak in every last drop of the delicious dressing, keeping perfectly intact to the very last piece. Also, when boiling beets, it’s best to allow them to cool in their own cooking liquid when you can. My Yiayia used to say that this lets the beets soak back up some of the flavor and nutritious bits that escape when boiling. Of course, if time is tight simply drain and chop when cooled. If you want to boil the beets ahead of time and chop and toss the salad some time after, do try to keep the unpeeled boiled beets in their cooking water, covered in the refrigerator (up to 3 days) until your ready to use them. 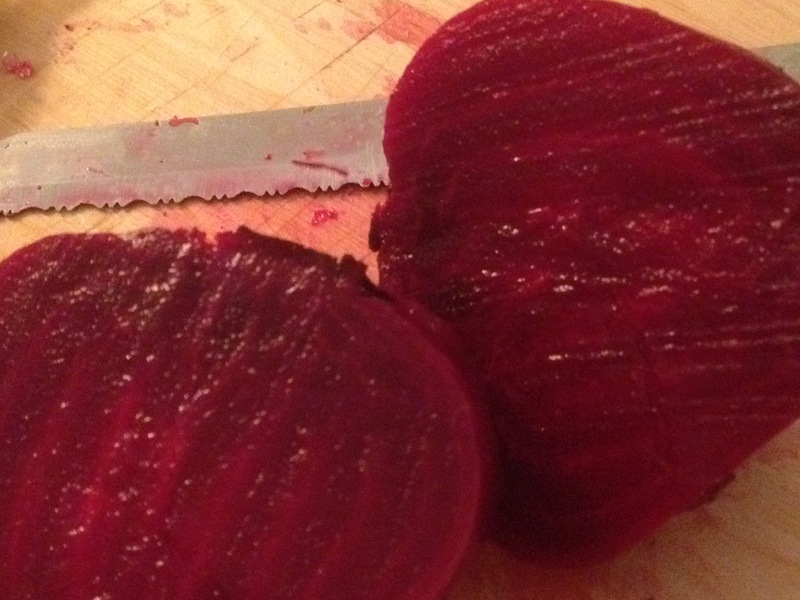 To peel, simply rub skins lightly off of the outside of the boiled beets then slice or chop as you like. I usually halve each beet, slice into half moons and cut slices into 3 way triangle shaped pieces. To me, the smaller the pieces, the more they soak up the dressing but really, even full circle slices turn out perfectly so it’s totally up to you! And I can’t stress this enough – mince your garlic VERY VERY VERY finely. Not many people like to chew on chunks of raw garlic. 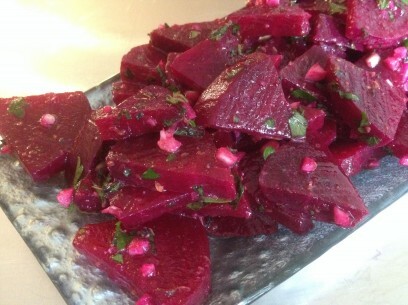 Delicately minced pieces of garlic soak up the dressing and beet juice and turn the prettiest pink color. It follows then that your fresh herbs are finely chopped as well. Little pops of flavor are what we’re looking for here to complement the beets. They’re the stars of this show and the rest are all supporting characters. That being said, this is a recipe that calls for your very best quality Greek olive oil and a good quality red wine vinegar. Don’t skimp on the quality of these ingredients especially, they add so much to the salad it’s worth using the good stuff! 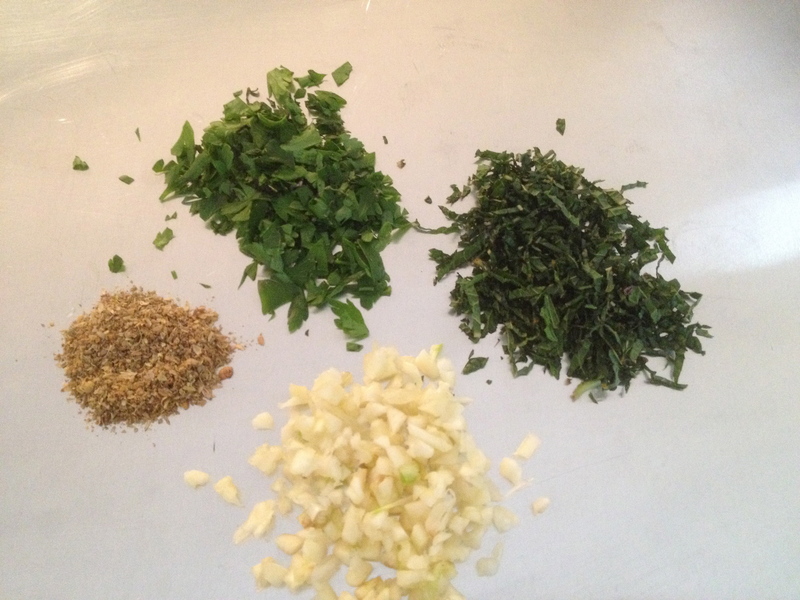 Coriander, sea salt and black pepper round out your simple spices. The coriander add just a hint of citrus and along with the fresh herbs and garlic, help to bring a lightness and brightness to the rooty, earthy beets. Toss all ingredients GENTLY in a large bowl that will give you plenty of room to combine everything completely. Work slowly and, again, gently to make sure you don’t end up with mashed beets – a different traditional Greek beet dish and one for another day! Serve with skordalia for a super traditional presentation or all on their own as a main dish with warm from the oven hard crust bread. Quick and simple, this recipe makes 4 side servings and 2 main courses. 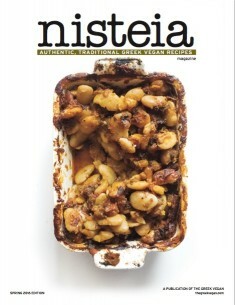 It’s infinitely scalable and always a hit for a brunch or buffet! 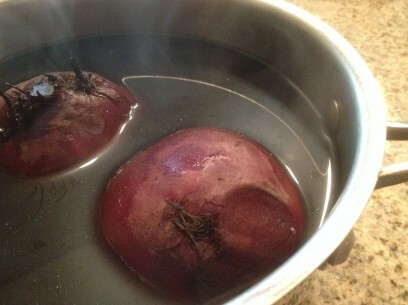 Boil beets in a large pot of water for approx 1 hour until easily pierced with a fork. Make sure they are covered with water the entire cooking time! Let them cool in their own cooking liquid if you have the time. Once cooled, chop beets as desired and transfer to large mixing bowl. Add the remaining ingredients and GENTLY stir to combine completely. Take your time and don’t rush this step. Serve immediately or keep covered in the refrigerator for up to 5 days. They are wonderful the next day especially as the herbs and spices have had time to all come together. Greek beet salad is a fantastic choice for take-to-work lunch and summer picnics too! This is delicious and so easy! 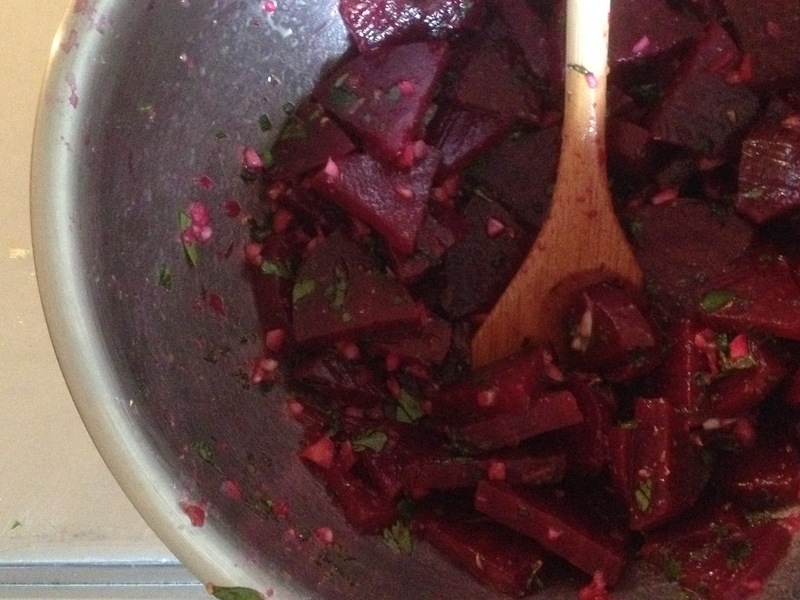 I had to used a tin of julienned beets that I rinsed, and also dried parsley, and it was still wonderful. Thanks! Made this tonight, didn’t change a thing. PERFECTION! Served with your potato stew, delicious fall dinner. Thank you! Im making cabbage soup tomorrow and stuffed tomatoes later this week. Can’t wait. Seriously though, don’t change a thing in this recipe, and use the bet quality oil and vinegar as suggested. Delicious! I didn’t have any mint to hand unfortunately, so I used some dill that I had kicking around instead and it still tasted great! So great, that I can’t wait to make it again, to see what the proper version is supposed to taste like 🙂 Thanks for the recipe!